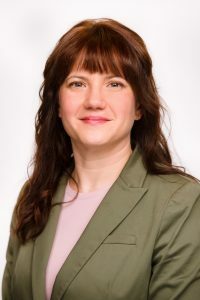 Catherine Grgicak, who serves as the Henry Rutgers Chair in Chemistry, joined us from Boston University, where she was an assistant professor in biomedical forensic sciences. She is a member of the editorial board of the Journal of Forensic Sciences, OSAC’s Biological DNA Interpretation and Reporting sub-committee, the International Society of Forensic Genetics, the American Academy of Forensic Sciences and the Electrochemical Society. She earned her B.Sc. (Physical Sciences) and B.Ed. at the University of Windsor, her M.S.F.S. at the University of Alabama, Birmingham and her Ph.D. in Chemistry from the University of Ottawa in 2007. 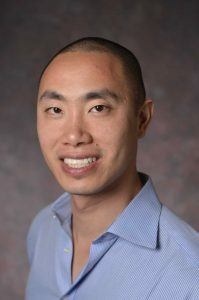 Desmond Lun is a Professor in the Department of Computer Science at Rutgers University–Camden and the Department of Plant Biology at Rutgers University–New Brunswick. Prior to joining Rutgers in 2010, he was an Associate Professor in the School of Mathematics and Statistics and Director of the Phenomics and Bioinformatics Research Centre at the University of South Australia. From 2006 to 2008, he was a Computational Biologist at the Broad Institute of MIT and Harvard and a Research Fellow in Genetics at Harvard Medical School. He received bachelor’s degrees in mathematics and computer engineering from the University of Melbourne, Australia in 2001, and S.M. and Ph.D. degrees in electrical engineering and computer science from the Massachusetts Institute of Technology (MIT) in 2002 and 2006, respectively.